Breaking! 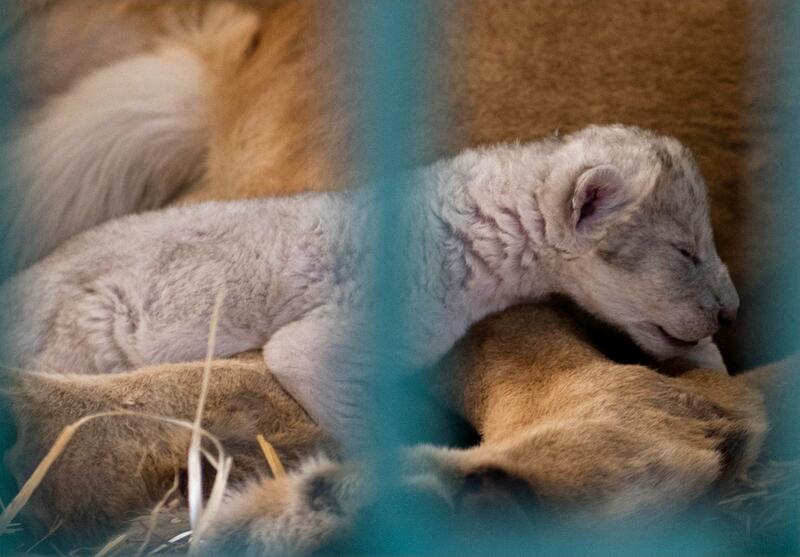 Lion Rescued From Syrian Zoo Near Aleppo Gives Birth; A Second Cub Is On Its Way! It was an eventful weekend at the Al Ma’wa reserve in Jordan, which on Friday, welcomed a pregnant lion and 12 other Wild animals that were saved from a Syrian zoo in war-torn Aleppo. 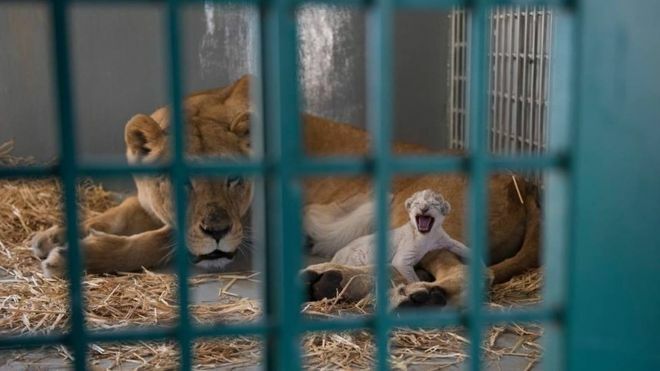 Following the high-risk rescue and transfer of the animals from Syria to Turkey and then to Jordan by international animal welfare organization Four Paws, a lioness named Dana made the most of her second chance at life by giving birth, a mere 12 hours after arriving at her forever home, to new life. According to Dr. Amir Khalil, a vet who accompanied the animals, an ultrasound performed while in Turkey had revealed that Dana was carrying two cubs. The elated staff discovered Hajar in Dana’s cage on Saturday with another lion, believed to be the father, standing guard on the other side of the enclosure. Hajar’s gender is currently unknown because the staff has not been able to examine the cub as of yet. Four Paws had been extremely concerned about how Dana would react to Hajar following the enormous stress she had endured; explaining to the Associated Press on Sunday that Dana would either accept the cubs or sadly, kill them. Fortunately, the new mom instinctually and affectionately took to Hajar. Another ultrasound scheduled for today will answer if Dana is close to giving birth to baby cub #2. As warned by Dr. Khalil, there is a tragic possibility that the other cub may have already been born dead and subsequently eaten by Dana. Fingers and paws crossed, we will soon be reporting on the successful arrival of Dana’s second baby cub! As previously shared by WAN, the monumental rescue, that included four other lions and two tigers, was financially supported last month by a donation from an American journalist, business man, and animal welfare activist, Eric Margolis. Supporters can continue to contribute to providing a better future for the animals rescued from Aleppo by making a donation HERE!